 Thursday, September 12th at 7:00 p.m. in the lobby of the Arlington Convention Center. Come join all the VIP's, presenters, speakers, sponsors and cooperative bloggers at a fabulous VIP party the night before the show. You'll get your VIP lanyard and shirt this night. There'll be introductions, great treats, drinks, sponsor stations, photo booths and a VIP sneak peek. And look back on that blogger page. Amazing folks. How fun will it be to hang out with them? * Enjoy a great swag bag with lots of great items from many Pinners Conference presenters and exhibitors. You'll also receive your Pinners t-shirt this night (fill out a size on registration). And cool stuff from many sponsoring companies. Here are some of them that contributed last year. Friday & Saturday, September 13th and 14th at the Arlington Convention Center in Arlington, Texas. * Okay. #1 benefit that most VIPers told us... getting to stand at the FRONT of Pre-registered & Stand-by lines at Pinners. Just walk-up, check-in and be the first to pick your prime seat. So handy. *You can be a early-in if you'd like (30 min. before everyone else to be exact). VIP door open at 9:30 a.m. Friday and 8:30 a.m. Saturday. * Enjoy a full-2-day slate of classes and more.